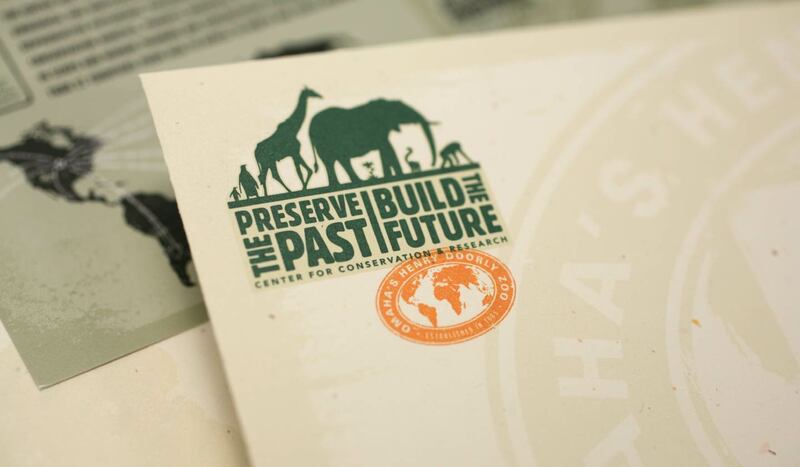 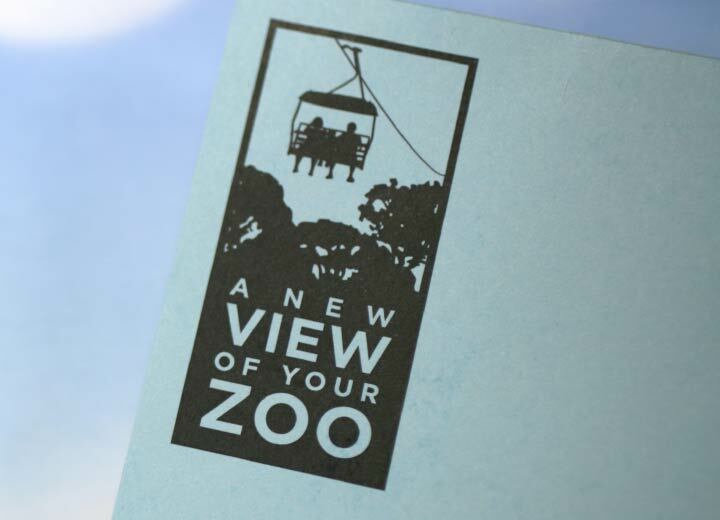 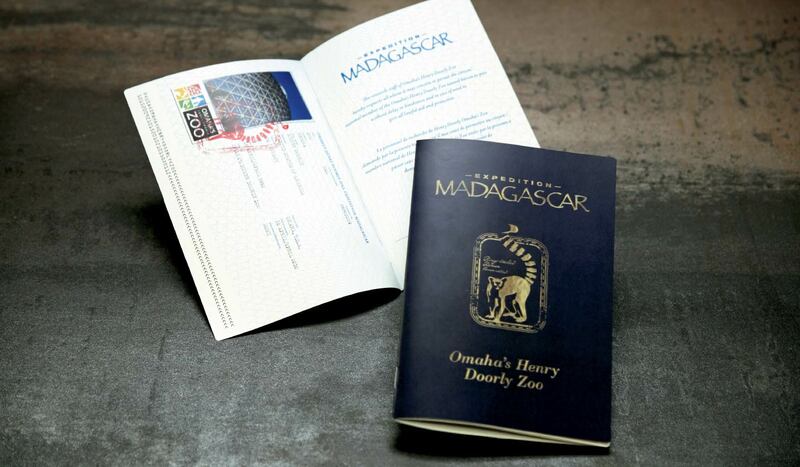 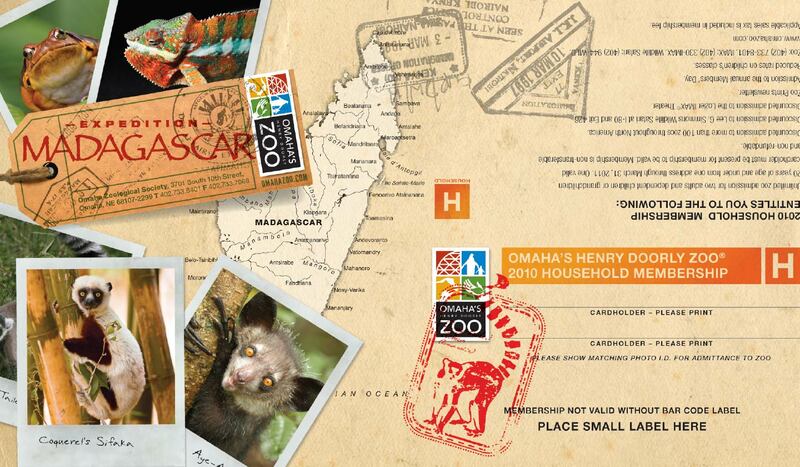 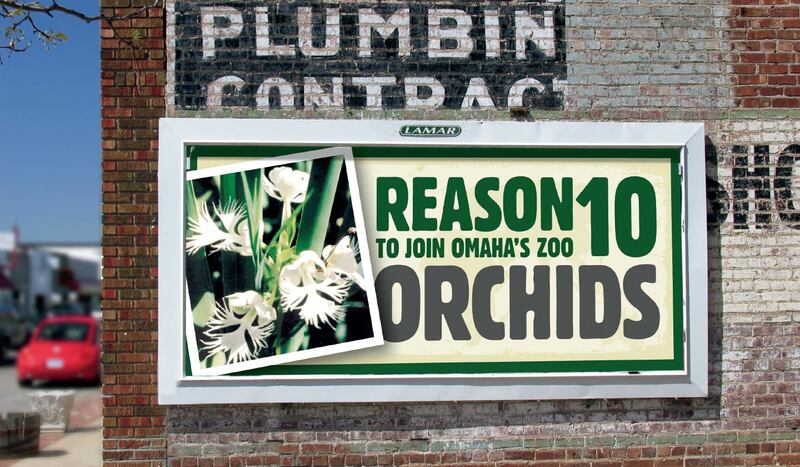 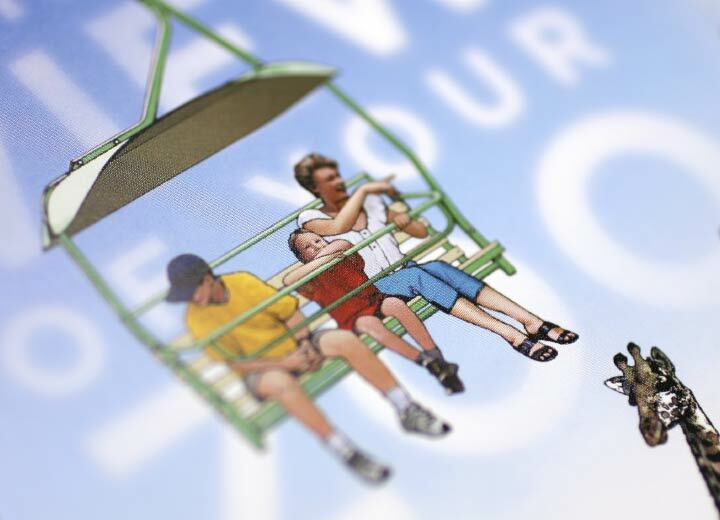 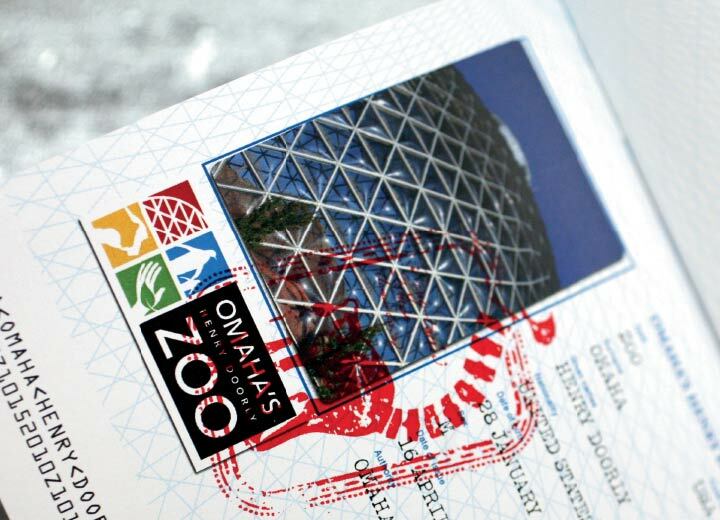 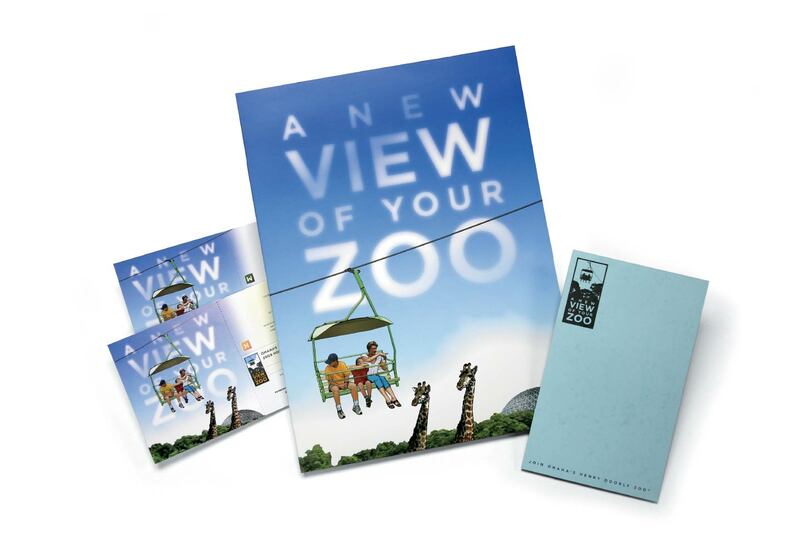 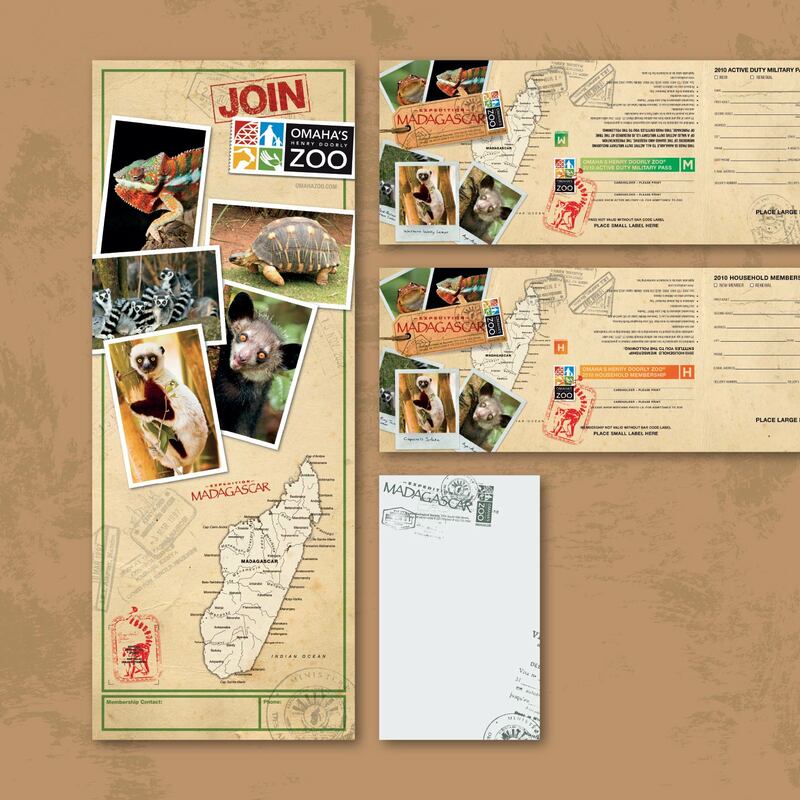 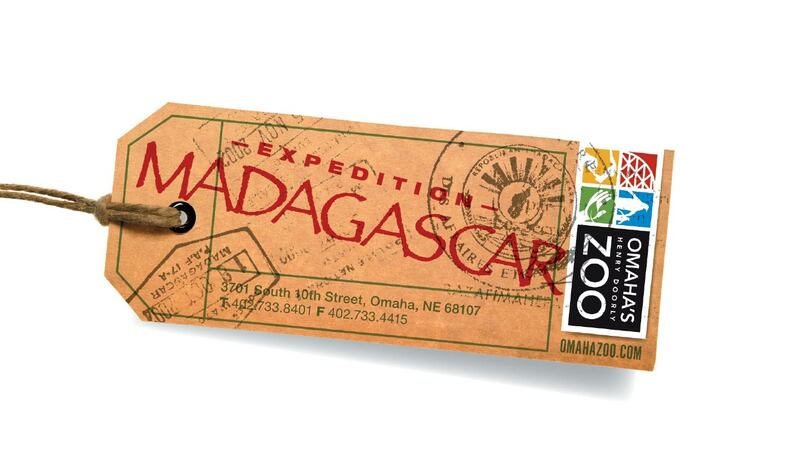 Omaha’s Henry Doorly Zoo’s membership campaigns promoted the opening of different exhibits over the years. 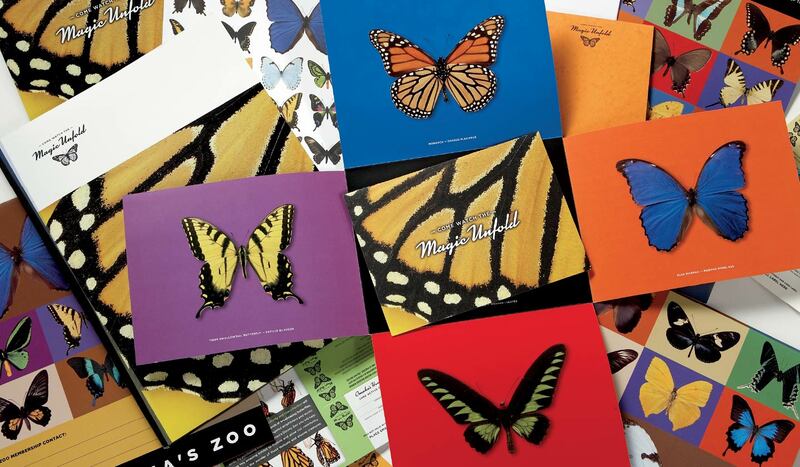 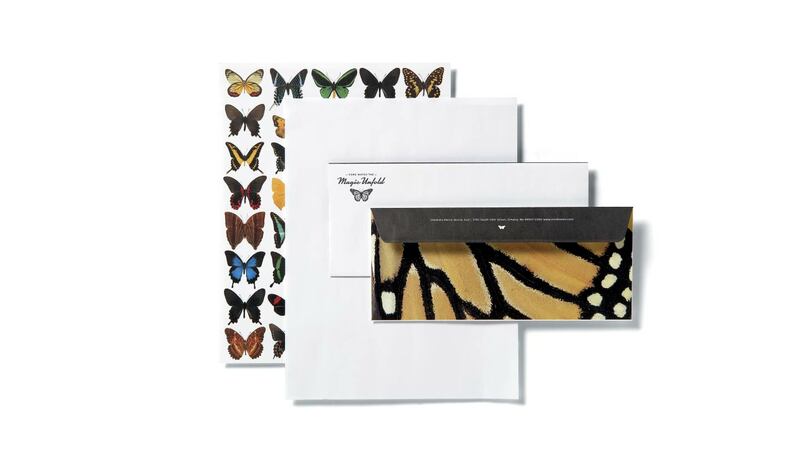 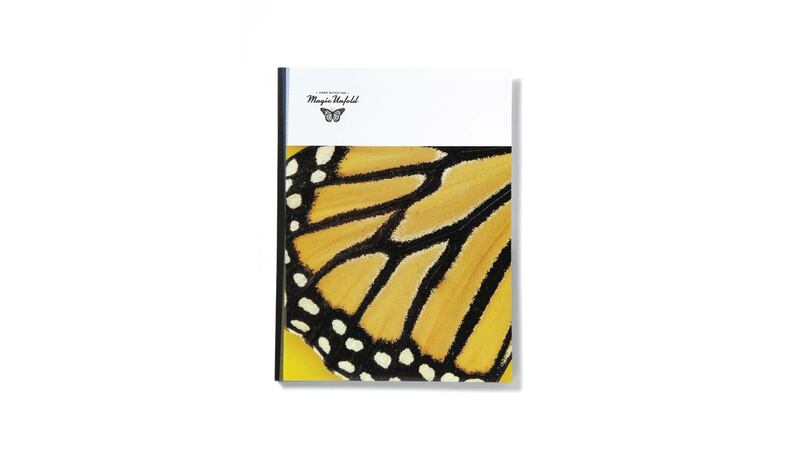 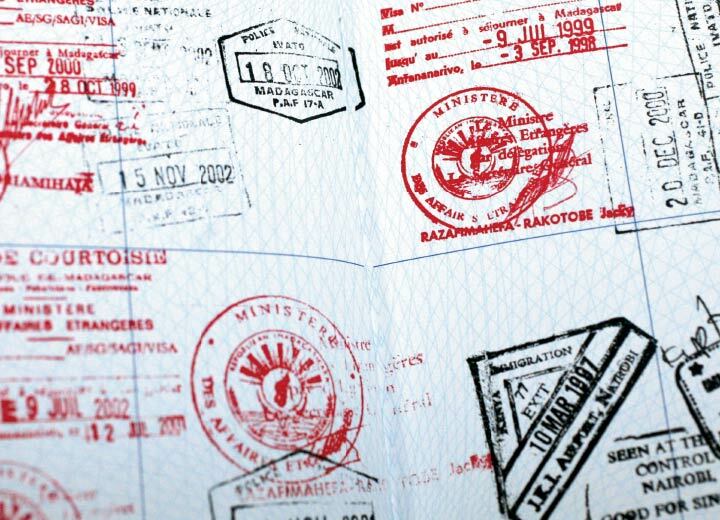 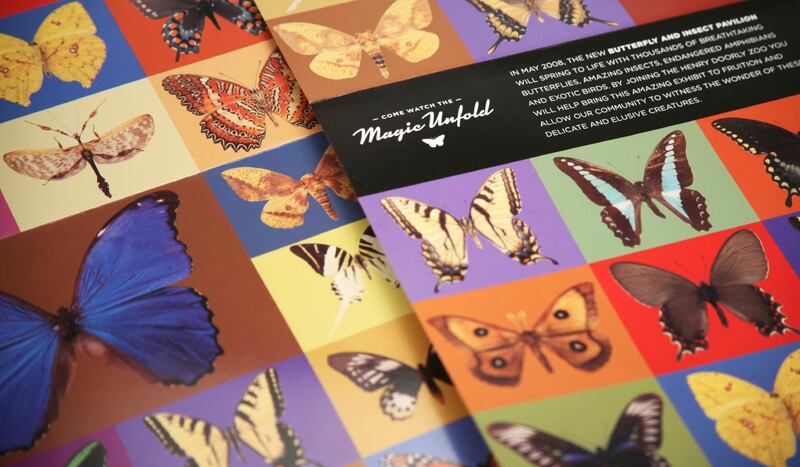 Several of those campaigns were for Expedition Madagascar, Berniece Grewcock Butterfly and Insect Pavilion and Skyfari. 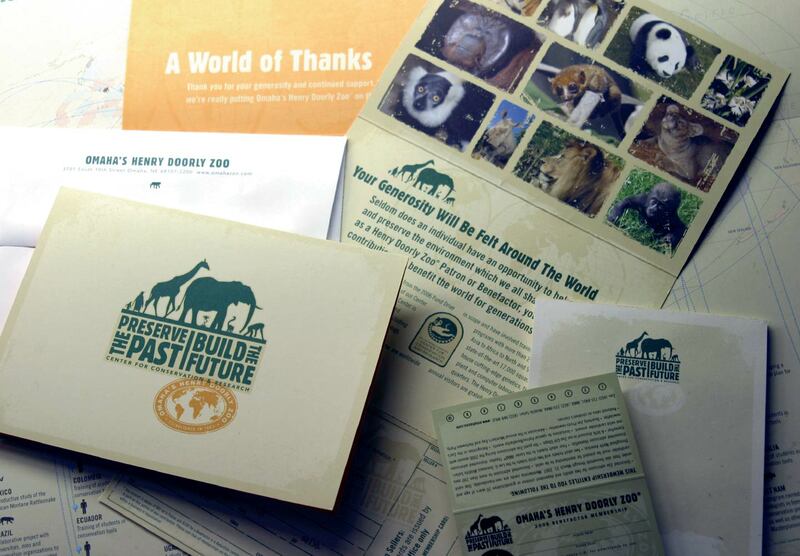 Each year had a specific theme that was developed along with the supporting graphics and imagery.